Special lecture by Jacqui Canney, Executive Vice President of the Global People Division for Walmart, regarding the role of women in leadership positions. She is responsible for attracting, retaining and developing talent within the nation's largest private workforce. 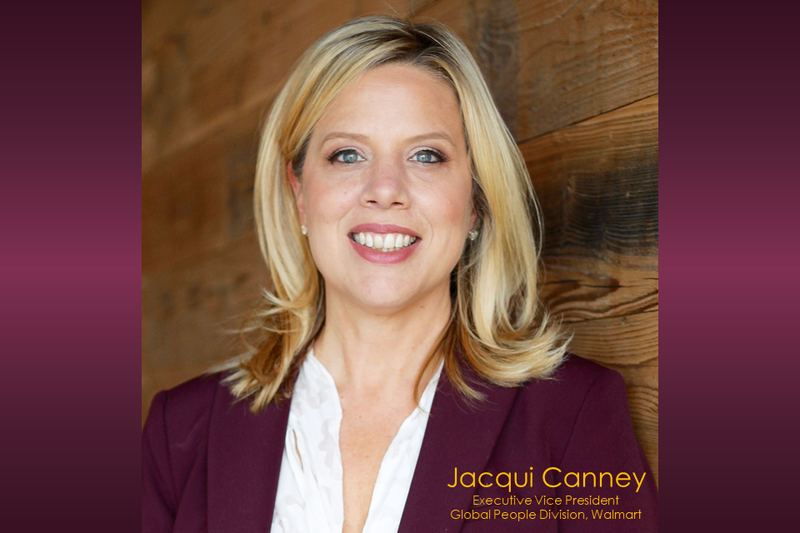 Jacqui joined Walmart in 2015 after more than 25 years of experience in global human resources. She has the unique role of engaging more than 2 million associates globally. She's focused on making Walmart the best place to work and shop through delivering an experience that gives associates access to the best technology, training and education opportunities. She's modernizing the company's total rewards and performance programs, and is also driving Walmart's inclusive culture through the work done by Walmart's Global Culture, Diversity and Inclusion Office. Prior to joining Walmart, Jacqui led the strategy and implementation of programs at Accenture to attract talent, and transformed its workforce to strengthen business capabilities and industry focus. Jacqui holds a bachelor's degree in accounting from Boston College. The Women in Leadership lecture is sponsored by the Office of the Vice Provost for Research. Open to Duke Faculty, Staff, and Students.